FOSC Monuments is the way to Purchase Headstones, Markers, Monuments, Benches, and Mausoleums. FOSC Monuments is a direct Supplier of Mausoleums, Monuments, Markers, and Benches, large and small. We purchase directly from the manufacturer which cuts out any middleman and we pass that savings onto you. From Large Mausoleums to small markers, we Guarantee the best Product at the best price. When a body is buried in a cemetery, some form of marker—commonly referred to as a “Headstone”, “Monument”, or ”Marker”—is often placed at the head of the grave to identify who is buried there. 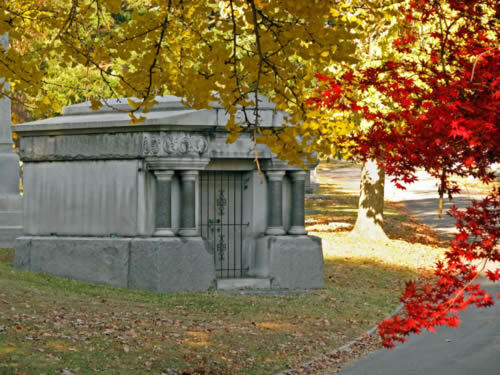 Mausoleums allow for casket entombment above ground. They are available in multi-complexes (many entombments in a large building) or Private Estates for one or more entombments. The marker, mausoleum and niche plate, or bench usually states the name of the person who died and the dates of birth and death and may include other personal information, images, or a quote, called an epitaph. Monuments, commonly referred to as “headstones,” which are tablets standing upright out of the ground. Ledgers, which are usually about 8 inches thick, lie flat on the ground and cover the entire grave. Ledgers may be engraved and used as the headstone itself, or they may also include a monument at the head of the grave. Most headstones are generally made of either granite, bronze, or a combination of the two. Granite ranges in color from grays to pinks to black and browns. Engraving is often available in a variety of typefaces and styles. Monument headstones come in many different shapes and styles, ranging from more traditional rectangles to elaborate sculptures. Flat markers may be entirely flat or have built-in flower vases. Although we do supply bronze we prefer to use Granite because of it’s long-term beauty and ease of care. Bronze discolors naturally and is difficult to clean and maintain. The price of headstones is generally calculated by weight; therefore, the larger the headstone, the more expensive it will be. The price of a headstone usually does not include any “additional features,” including engraving or adding a custom feature, including a photo or image. If you are purchasing a headstone from a third-party or online retailer, the cost of shipping the headstone may also be quite high, as shipping costs are commonly calculated by weight. Every cemetery has rules around the types of headstones it allows, including rules regarding headstone style, size, and features. Before shopping for a headstone, find out what the rules are at the cemetery you are working with. In addition, many cemeteries have relationships with headstone vendors that they will require you to work with. These requirements will inform your purchasing decisions. Many cemeteries prefer that you purchase a headstone from them directly, or from one of their approved vendors. 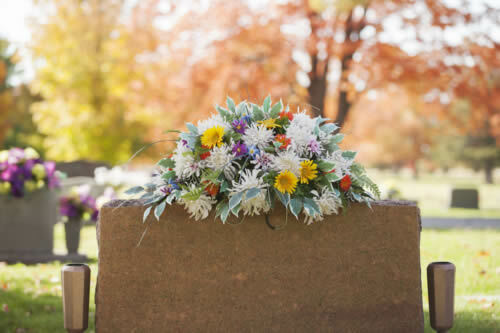 If you will be purchasing a headstone from a third-party or online retailer, make sure the cemetery will allow you to do so, and look into any fees the cemetery might charge for bringing in or installing a headstone you purchased elsewhere.